It’s hot out today and it will be hot tomorrow. It’s summer, what can I say? When it’s hot there is nothing better than a cold beer, right? It’s icy cold; the bottle is icy cold; it’s exactly what The Goddess always thinks is THE perfect thing to cool her down. Then, about 10 minutes after she’s downed it, the furnace kicks in. And she’s wanting to book a one-way ticket to take a dip naked in the polar ice cap! Any way you look at it, this isn’t a pretty picture and it’s just damn inconvenient because they insist that she book a round-trip ticket! But, there are a couple of really good solutions, that sort of bring the polar ice cap to you. First, alcohol and heat, don’t mix very well. Take a look at that picture above….but, ice and water and a glass (or pitcher). Yup, ice water is the way to go. Now the water can be still or bubbly…that’s up to you. I waffle on this; sometimes I like bubbly water (seltzer, okay?) and sometimes I prefer still water. And you would be amazed, dazzled in fact, to realize just how good a wedge of lemon or lime tastes, squeezed into that glass of ice water. Go ahead, push the squeezed-out wedge all the way to the bottom. Now drink up…isn’t that refreshing? There is just one tiny thing I want to mention, I drink plain old tap water. I don’t do bottled water. Bear in mind that much of the bottled water, is nothing more than tap water that may have been filtered, probably to remove the taste of chlorine. Anyway, I have water right here, in my house, in my kitchen or bathroom. I don’t have to go out and buy it, then fill up a landfill with the leftover plastic bottles. You can read more here, if you wish, about the safety of both options. This is sort of a soapbox issue for me. Can you tell? The second option came by way of KayJay, the love of The Eldest Son’s life. It’s very refreshing and drop-dead simple. 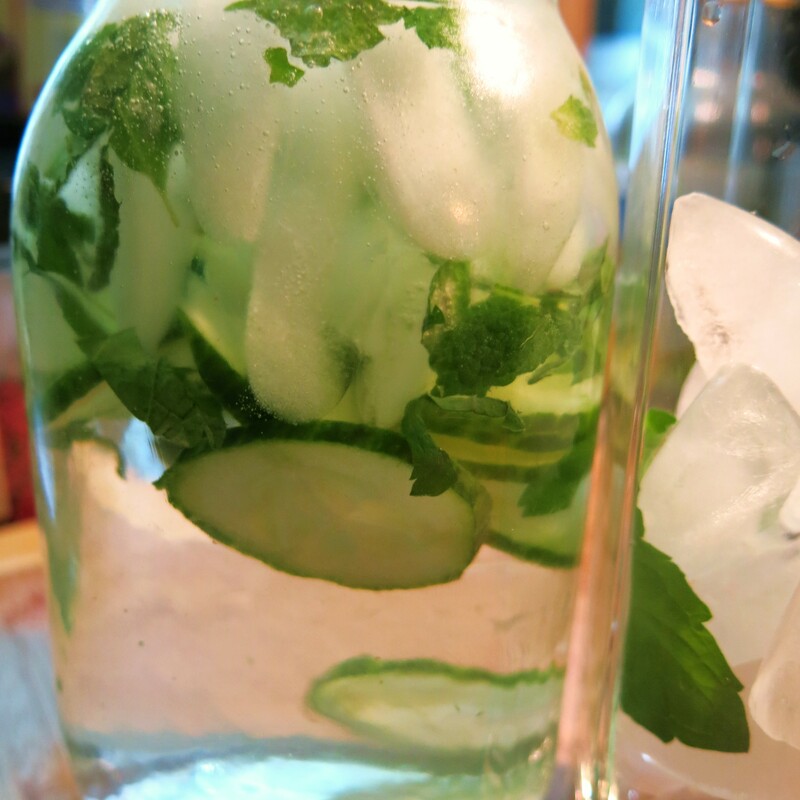 Cucumber slices, torn up bits of mint leaves, ice and water…seriously simple. The cucumber gives it such a refreshing quality and then the mint kicks it up, just a tad. This is in no way minty, but the mint is just barely there. 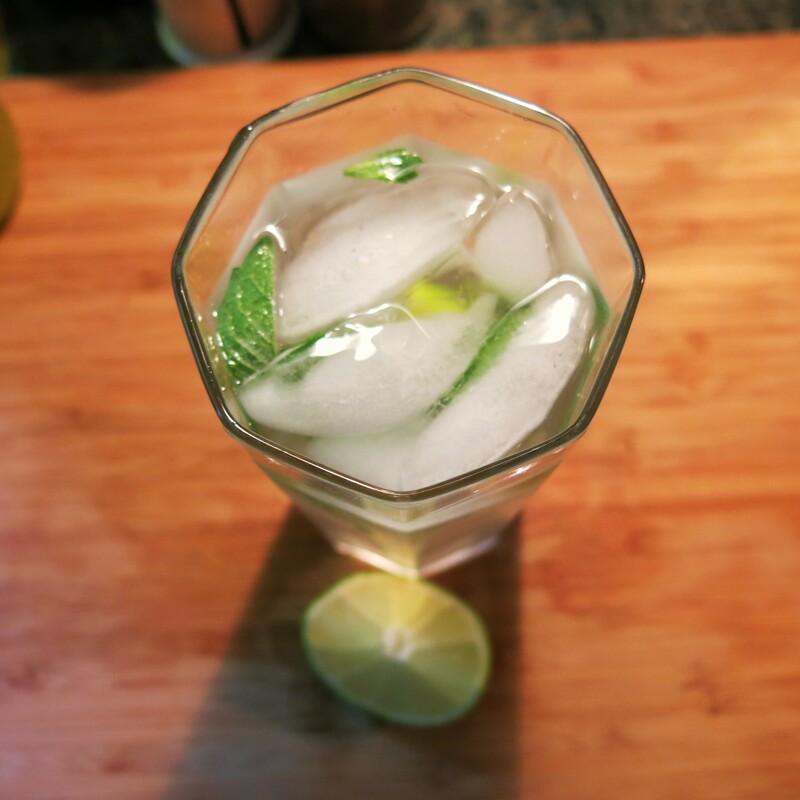 Use more mint, or muddle the mint more, if you want a mintier taste. I mix it up in a quart jar and keep it in the fridge. 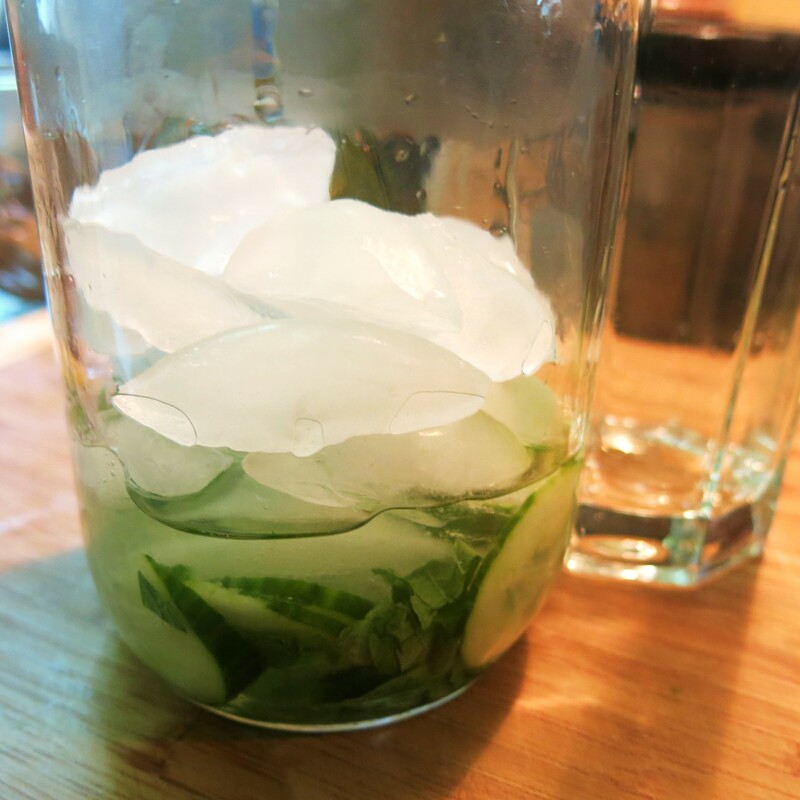 For a quart, I use about 2-inches of a cucumber sliced thinly, 5-6 mint leaves torn up. I put them in the bottom of the jar, fill the jar about half full of ice and fill with water and stir. I think it’s better to let it rest in the fridge for an hour or two, before you enjoy it. 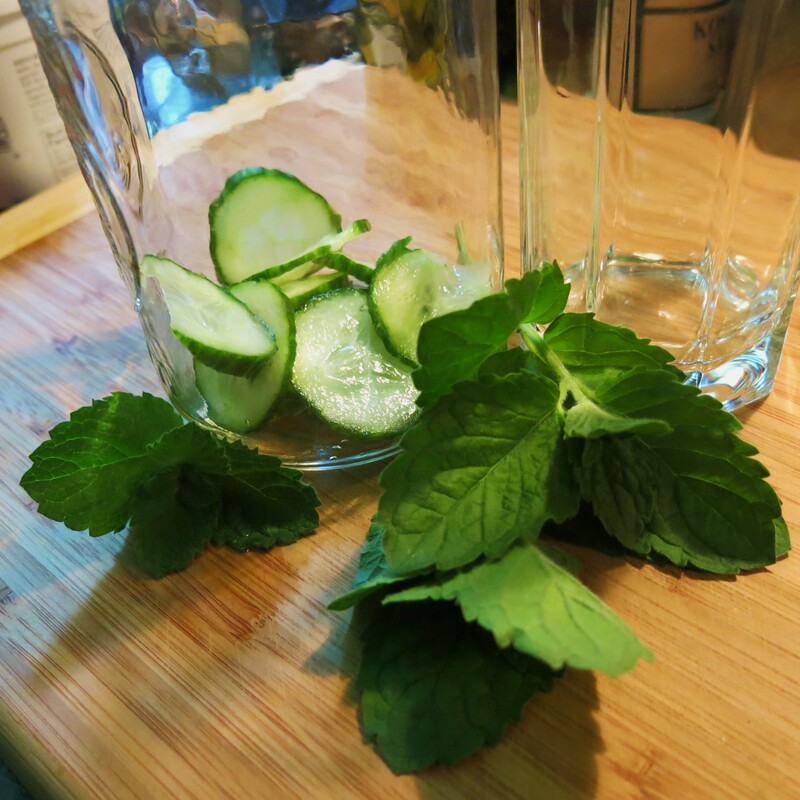 But, if you’re in a hurry, place the cucumber slices and mint in the jar. Heat 1/2 cup water to boiling, pour it over the mint and cucumber and swirl it around a bit. Fill the jar half full of ice and the rest with water, just as normal. 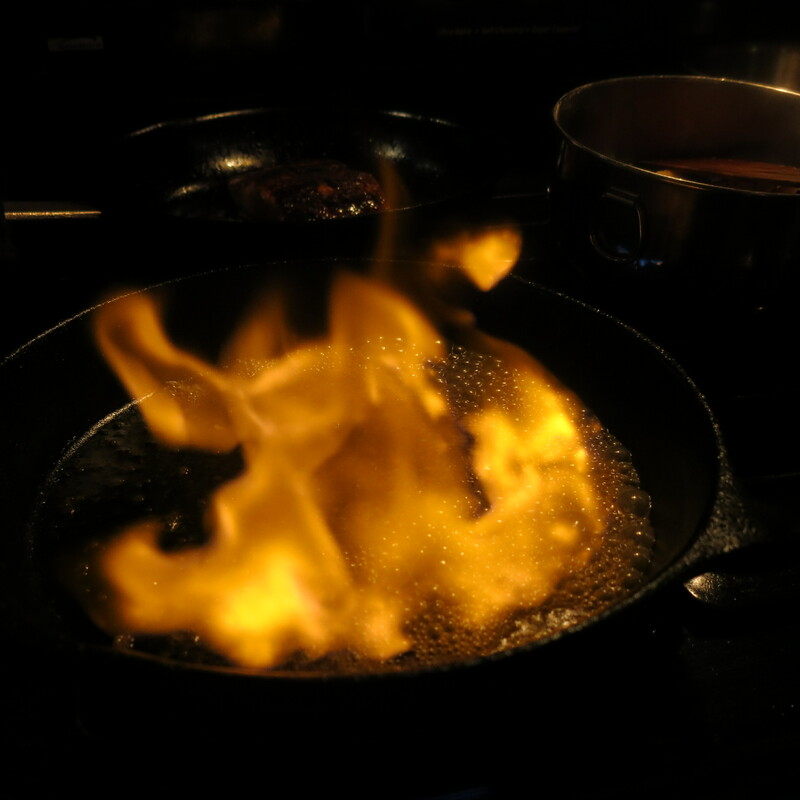 The hot water simply releases the flavors faster. You can make this by the gallon if you wish…I’ve heard rumors that some people add a little gin to this, but I’m sure those are rumors and aren’t true…who would do that sort of thing, anyway?